Dental Instruments :: Extraction Forceps (English ) :: UPPER CENTRAL ANTERIORS CANINES Fig.1 GOLD HANDLE. Dental Instruments » Extraction Forceps (English ) » UPPER CENTRAL ANTERIORS CANINES Fig.1 GOLD HANDLE. UPPER CENTRAL ANTERIORS CANINES Fig.1 GOLD HANDLE. 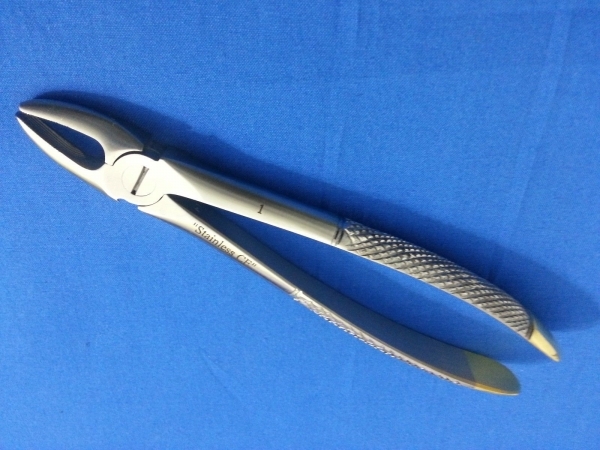 UPPER CENTRAL ANTERIORS CANINES DENTAL EXTRACTION FORCEPS #1 GOLD HANDLE.